The government-mandated introduction of Ultra Low Sulphur Diesel (ULSD) has resulted in a decrease in lubricity. Lubricants are therefore added to the diesel in varying forms and while they will increase lubricity, they also cause the diesel to absorb more emulsified water, as do biodiesel blends. The change in chemistry of the fuel also resulted in a reduction in Interfacial Tension (the ability of two liquids to repel each other). A lower Interfacial Tension allows the fuel and water molecules to bind together tighter. Free water has always been known to contribute to sludge and contaminants forming in diesel storage tanks, however the effects of emulsified water are only just becoming apparent. A recent report by the United States Environmental Protection Agency has shown a significant increase in fuel system corrosion since the introduction of both ULSD and ULSD/Biodiesel blends. Some engine manufacturers are also recognising this problem, resulting in rejection of some fuel system warranty claims. 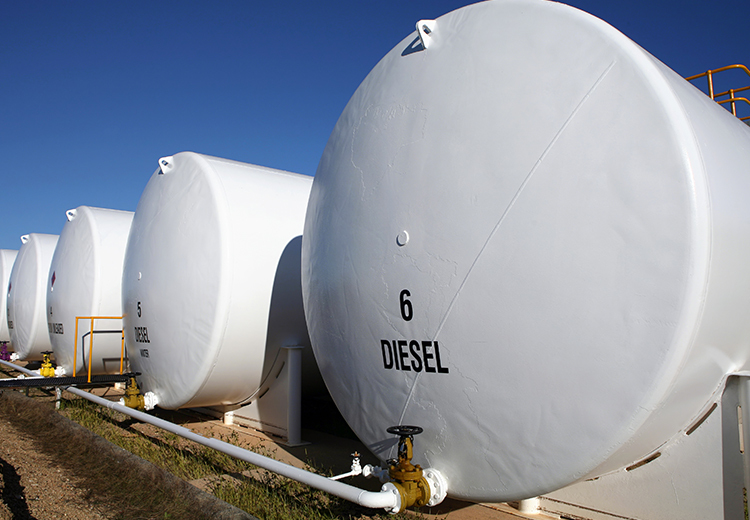 While freestanding water can be more easily removed through storage tank drain valves and standard engine filtration water separators, emulsified water is saturated in the diesel and cannot be removed by normal filters. Emulsified water is saturated within the diesel and will travel through the fuel system causing excessive wear and corrosion. As emulsified water reduces the diesel’s ability to completely combust, plus reduces lubricity, it will eventually cause damage to engine components whilst also reducing engine efficiency. Fuel stored in the tank will degrade. An accelerated build-up of sludge and microbial growth will lead to filter blockages and corrosion of fuel system components. Microbes in fuel have long been associated with fuel moisture content. No water in fuel means no microbial growth. Microbes excrete acid, which will cause corrosion. With increased emulsified water, increased microbial growth occurs, which in turn equals higher acidification of fuel resulting in excessive corrosion. This is an unseen problem that is only now being identified due to storage tanks, pipes and fittings failing over time since the introduction of Ultra Low Sulphur Diesel and biodiesel blends. The resultant environmental issue of ground contamination leads to significant rehabilitation costs.